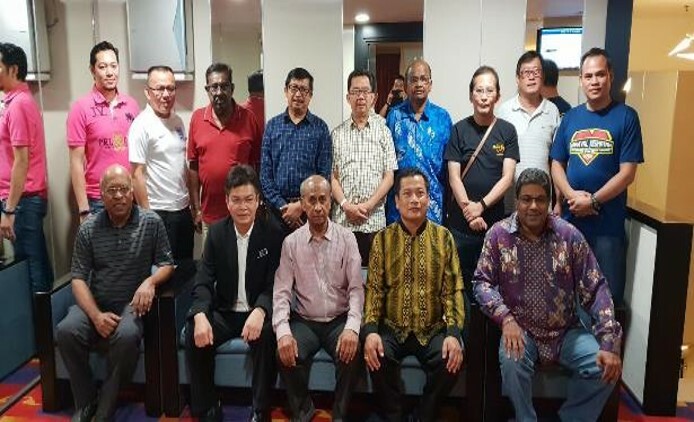 A 7-member delegation, led by President Hassan Bava visited Kuching, Sarawak, from 22 to 25 March 2019 on the invitation by the Health Inspector Union of the Sarawak Health Department. The invitation was extended by the Sarawak Health Inspector Union to our SOCEH during the seminar held from 26-27 Sept 2018 at Kuantan, Pahang, organised by the Pahang Health Inspectors. More than 500 delegates from Peninsular Malaysia and East Malaysia attended the seminar. Our President presented a paper entitled “Career of EHOs in Singapore” which was well received. For many of us, this was our first footing in Sarawak. On arrival at Kuching International Airport, we were received by the President of the Union, Mr Juki’ Endok, Mr Billy Sujaang, Chief Environmental Health Officer of Sarawak and members of the Union. After checking into our hotels, we were taken out and given a tour of the Kuching City to take in the sites of their heritage buildings and landscapes and the rich and thick foliage of greenery. We were then treated to a sumptuous Welcome Dinner at a well-established hotel with karaoke for free and easy interaction between us and the Union’s members. We got to discuss and exchange ideas and programmes informally and both sides gained knowledge of each other’s environmental journeys and the challenges ahead. President Hassan presented Mr Juki’ Endok with our Plaque, to commemorate our visit. Day 2, we were brought to the Semenggak Wildlife Park, which is the home of 31 Orang Utans. We had the 1st hand experience of trekking down a path, into the home-ground of the Orang Utans and watch them being fed with bananas, pineapples and full coconuts. We watched them peeling the coconuts and how they drank the juice from it, so easily. It was also a sight to behold, as they used their strong arms and legs to move along the twines from tree to tree. Next stop was at the Bengoh Dam (Empang Bengoh) for storage of raw water and thereafter, treated as potable water for the Kuching Districts. It was a scenic drive through well paved roads and greenery all around with hills surrounding us. The facility was well maintained in a rustic setting. The Union presented a commemorative plaque to President Hassan. Next was lunch, which was a pleasant surprise! We were brought to the Anah Rais Long House. We were given a briefing by the Chief of the Long House Community and the 2nd generation leader of the head-hunters, the historically knowledgeable, Mr Henry Busan. After the briefing, we were invited to a traditional native lunch spread, prepared by his wife. All the food, rice, fish, chicken, mixed vegetables and durian paste with ikan bilis were all cooked in bamboos, their traditional way of cooking by the community. Desert was ripe and juicy jungle-harvested fruits. Thereafter, we were brought back to the hotel and followed by a ferry tour incorporating their cultural programmes along the Sarawak River. Thereafter, it was free and easy. Some of us took in the night view of the Sarawak Riverfront and the lively night Bazzar, and thereafter, some had dinner at the Riverfront itself while some at the nearby splendid Food Court. Day 3, the group was treated to a visit to their Sarawak Cultural Village, which is a living museum, where the rich cultural backgrounds are depicted. It is a 17-acre site exploring local ethnic groups via longhouse replicas of indigenous ethnic groups such as the Ibans, Bedayuh, Ulu, Penin and Melanu, programs & cultural performances. The experience was simply breath-taking! In all, this first visit was an eye-opener and the hospitality extended to the group was way too heart-warming and exceeded all expectations. 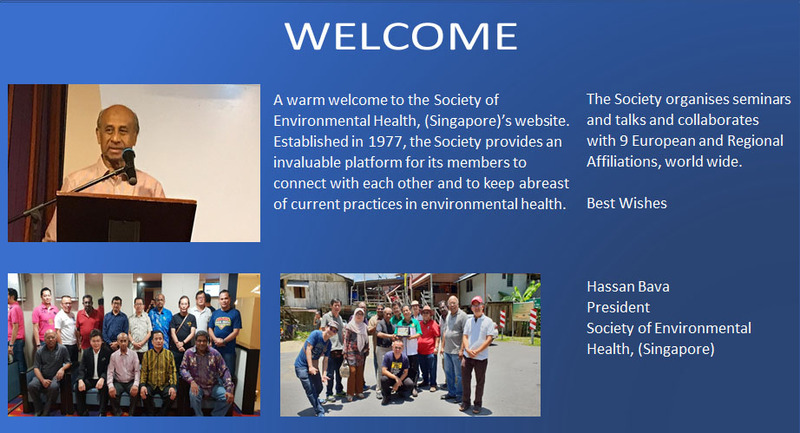 The Sarawak Health Inspector Union Exco Members extended their invitation to members of our SOCEH to their World Environment Day Seminar to be held from 25-26 September 2019, at the Penview Convention Centre, Kuching Sarawak. We will be publicising the event to members, shortly. President on behalf of SOCEH, has also extended an invitation to the Union of the Sarawak Health Inspectors to visit Singapore.